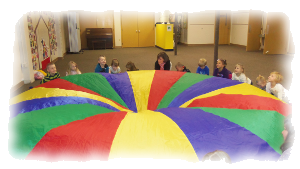 St. Peter’s Lutheran Preschool offers a safe, Christian environment for children to learn and grow. The preschool program offers an age appropriate curriculum with hands-on experiences that will help prepare children for their formal school experience. Areas of focus include self-help skills, social and emotional development, language, large and small motor skills, pre-reading, pre-math, art, music, science, and social studies. Field trips and special guests are part of the excitement throughout the year. Classes are offered for children 2 to 5 years of age. We are pleased to offer ALL day options. Our 5 year old PreK students also have the option of enrolling in the LEAP program. In addition to their morning session of preschool, these "LEAPSTERS" eat lunch at the day school and then return to preschool for LEAP (Learning Enrichment and Achievement Program). Find out more about LEAP here. Another ALL day opportunity is available for 3 and 4 year olds in our "PEEPs" program. After students complete their morning preschool class, they eat lunch, free play, rest and have enrichment activities. Find out more about PEEPs here. The professional, dedicated staff includes a director, five teachers, and two teaching assistants. All of our teachers have bachelor’s degrees with over 50 years of combined teaching experience. They each have a special love for little ones. Staff members are required to have professional development each year along with training in CPR, first aid, and universal precautions. For more information or to register your child, please contact the Preschool Director by phone (260) 748-0775 or by email by clicking HERE.